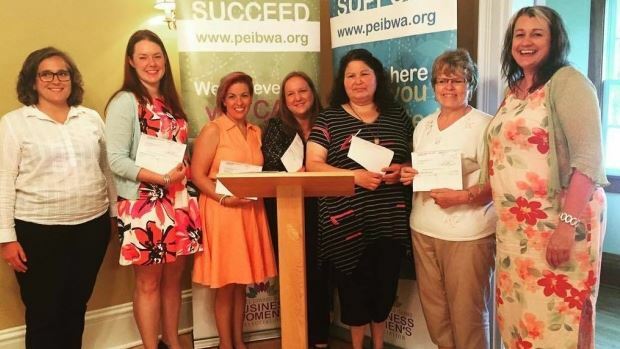 The first PEIBWA micro-grants were awarded in June 2016; five grants were awarded and we are pleased to share their stories here. The grants of up to $500 each are to help new and established women entrepreneurs, and include business skills support. The association gives the entrepreneurs 75 per cent up front and the rest after they complete a final report. Any PEIBWA member can apply, and the grants can be used for any expense towards starting or growing a business. Patricia used the micro-grant to purchase supplies that she needed to build her inventory of Mi’kmaq-inspired handmade greeting cards and matted prints that showcase her photography. She sells these products at various retail shops and spaces in Charlottetown and Cavendish PEI. With the stock that she created, Patricia had sufficient available for the remainder of 2016, which generated increased revenue for her business. Cassandra recently established a naturopathic medical practice in Stratford PE. She needed to establish an online presence to grow her business, so applied for a micro-grant to hire a consultant to help her learn about social media and how to leverage social media to grow her business. With the support of the micro-grant, Cassandra now has a firm grasp of how social media is used in the field of naturopathic medicine and has a social media strategy to increase new patient contacts, retain current patients, re-engage previous patients, and build a strong online brand. Sharon established a mobile hair salon business by using the micro-grant to convert and brand a 1973 camper. The camper now boasts logos, an inspirational quote, and hand-painted scroll work that makes it look more vintage, and will have a striped awning that can be put up at the front of the camper. Sharon also purchased various items for her styling station. Her clients will include wedding parties, so look for her officially on the road at the end of June. Danielle used her micro-grant to start a new business in Georgetown PE: a boutique that features Island artisanal products such as fashion accessories, jewelry, bath and body products, candles, and paper products. She made minor renovations to her retail space, including interior painting and display fixtures to improve her brand image and exterior improvements including landscaping that reinforces her brand and makes her shop more appealing to the public. Darlene applied the micro-grant to cover the costs of starting a new business venture that provides a personal shopping service for seniors and families who have difficulty doing their grocery shopping. She is also using the micro-grant for marketing and promotion of her business. She currently has six clients and plans to grow her business by working with another Summerside enterprise that helps seniors remain in their own homes.